The best hospitals for pediatric surgery in India offer the best possible care to the surgical neonate and children, and serve a role model for ideal pediatric surgical practice. The best pediatric hospitals in India offers the state of the art patient care for the general pediatric surgery as well as in the field of pediatric urology including the disorders of sexual differentiation, neonatal surgery, oncology, thoracic surgery, laparoscopy, gastrointestinal surgery, endoscopy (esophagoscopy, bronchoscopy and cystoscopy) and neurosurgery in children up to 14 years of age. The hospital provides the comprehensive care to the children, infants, adolescents and young adults with surgical problems. They are leaders in the minimally invasive surgery techniques that have less pain and quick recoveries for young patients. Also the services are provided 24 hours a day including the diagnosis, consultation, management and follow-up care administered by a highly experienced team of best pediatricians in India, nurses and other specialists including pediatric anesthesiologists. They also have several follow-ups clinics including the antennal counseling for the congenital malformations and follow-up of cases till they reach adolescence and in some selected cases even after adulthood wherein the meticulous surgery is needed. There are routine outpatient services and follow-up clinics in the mornings and afternoons. Children are not only tiny humans but also they cannot always say what is bothering them. They are not always patient and helpful during a medical examination and they cannot always answer medical questions. The pediatric surgeons in India know how to examine and treat children in a cooperative and relaxed manner. They are trained specifically in the surgical care for children of all ages from the tiniest newborns to the teens and young adults. There are pediatric surgeons in every surgical subspecialty including the neurosurgery, cardiac surgery, general surgery and transplant surgery. The pediatric surgeons in India, nurses, subspecialists and ancillary personnel are accustomed to working with children which is a major difference from other pediatric surgeons in other countries. The pediatric surgeons in India are dedicated to using the least invasive methods on their patients for minimizing recovery time, scarring and pain. Indian surgeons are leaders and experts in the pediatric minimally invasive surgery who has an approach which reduces the pain, speeds up the recovery and minimizes scarring as compared to the traditional open surgical techniques. We have world class specialists from across the globe that facilitates the correct diagnosis of various ailments for the best and shortest road to recovery. Dr. Prashant Jain - He is a young and dynamic pediatric surgeon specialized as pediatric urologist who has been trained at the premier institutes such as Kalawati Saran Children’s hospital, New Delhi and King Edward Memorial Hospital (KEM), Mumbai. A meritorious student throughout his medical career, he was a gold medalist in his training in pediatric surgery and pediatric urology. 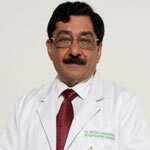 He is presently heading the department of pediatric surgery at Dr. BL Kanpur Memorial Hospital, New Delhi. Dr. Jain has special expertise and vast experience in pediatric urology and pediatric minimal invasive surgery and has been performing the reconstructive surgeries for the congenital anomalies with great skills and excellent results. Additionally he performs all pediatric reconstructive surgeries for all complex congenital anomalies and pediatric laparoscopies. Dr. Arvind Sabharwal - Director at the Department of Paediatrics and Neonatology at Fortis Hospital, Gurgaon, he has over three decades of rich professional experience in his field. He is especially known for the separation of pyopagus (conjoined) twins and pioneered the surgery in India. 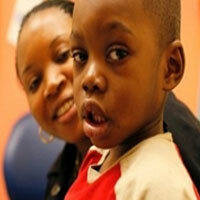 Additionally, he presented this case in the World Congress of Paediatric Surgery in the year 2010. 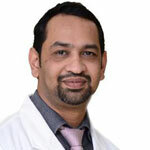 Dr. Sabharwal also has a decade of teaching experience in the field of surgery and paediatrics at the university level. Dr. Brahmadeva Dwivedi - A paediatric surgeon at Indraprastha Apollo Hospital, New Delhi, he has started the Pediatric Surgery Unit in Maulana Azad Medical College, Indraprastha Apollo Hospital and Sir Gangaram Hospital in the year 1960, 1992, and 1995 respectively. Dr. Dwivedi has a vast experience of over 59 years in the field of pediatrics; hence he is one of the top pediatric surgeons in India. Dr. Bagdi R. K - Head of the Department, Paediatric Surgeon at Apollo Children Hospital, Chennai, he has 33 years of experience in his field. After completing his MBBS, MS- Pediatric in 1960 and 1964, Dr. Bagdi has also completed MNAS from the University of Bombay in the year 1968. He has also worked in Tamil Nadu Government Service from 1980 to 2004, SRMC & RI Porur as a Professor & Head of Department of Pediatric Surgery from 2004-2009 and VRS as a Professor of Pediatric Surgery from ICH & HC 2004. 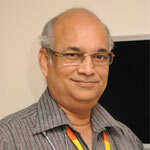 He has also been awarded Dr. U Mohan Rao Prize in the year 1997 and Madras University Rajasthan Shree 2005. 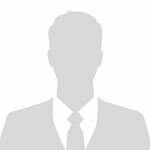 Dr. Bagdi R. K holds professional memberships in NBE, IMA, IAPS, ASI, PESI, IAP and ISPEN. Regular medical checkups are very important for the kids During such a consult, we got the news that my son has what was an Inguinal hernia. I tried a lot to avoid surgery and was aspiring to cure the condition through medications but that was not possible. Eventually, we had to go to a child specialist in Nigeria who connected us to Tour2India in India for surgery. According to the consulting doctor, surgery was the only way out. Sadly, he was suffering from various associated symptoms of hernia like abdominal swelling, vomiting, diarrhoea, nausea, and pain. Hence, had to gather the courage and go ahead with discussing with the Team Tour2India and fixing an appointment for the surgery. A professional was assigned to connect with me and we had long conversations until we finally fixed up an appointment for the surgery. The team suggested the best hernia surgeon of India and I finally agreed to take my son to India on the suggested date. On reaching India, I was surprised to see that all the arrangements were precisely made for the comfort of my son. Eventually on the finalized date, surgery was performed and he was hospitalized for two days after days for intense care. Surgery was a success and even today after about 9 months, my son is in the best of his health, rejoicing life. Thanks a lot Team Tour2India for all the support and guidance to a perfect health. Pediatric Surgery in India is a pioneer medical travel facilitator having its base in all the major cities in the country. This is blend of a committed and passionate people who are eager to assist the needs of medical tourists. We maintain a close network with the best pediatric surgeons and experts along with the JCI accredited hospitals in India. Our network of the top hospitals for Pediatric Surgery in India deals with effective pediatric surgeries and offer the best quote, high quality care and good support to our patients from abroad. All in all, you can rest assured to receive the highest quality of patient care coming to India. We provide good medical visa assistance, travel, comfortable stay arrangements and pre-hospitalization visits. The nurses also attend to all your needs and requirements post surgery. Our services drive with high quality treatment, personal care and affordable cost. Choosing us to plan pediatric surgery in India will ensure to get the best and hassle free medical tourism experience. We helps you with each and every aspect of medical tourism to India right from visiting, planning and managing your entire medical trip by making it a success.